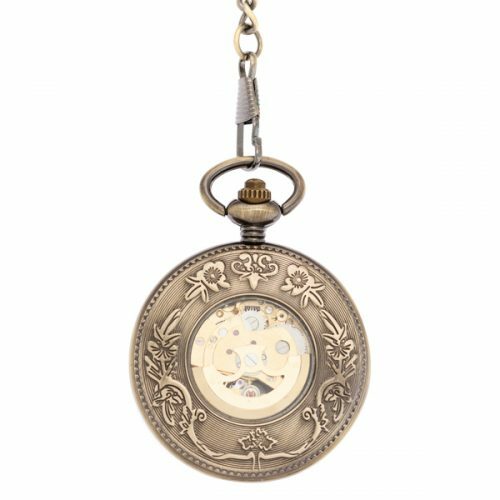 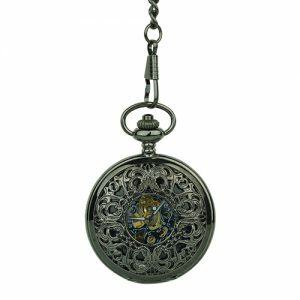 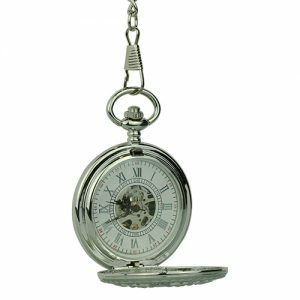 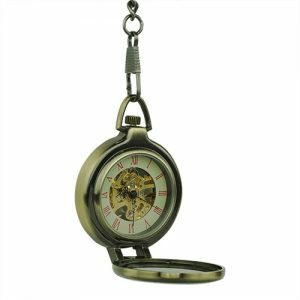 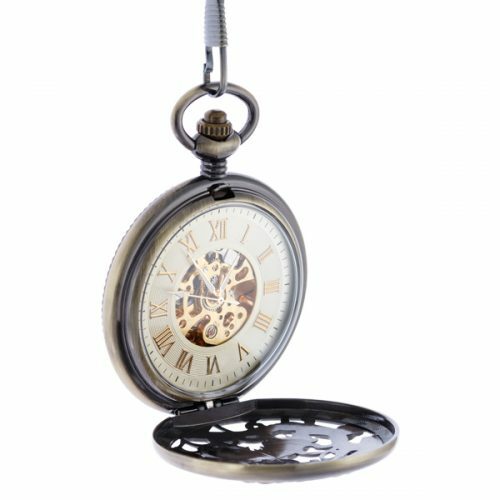 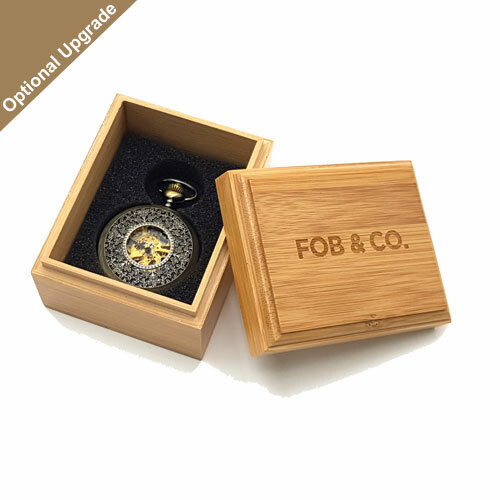 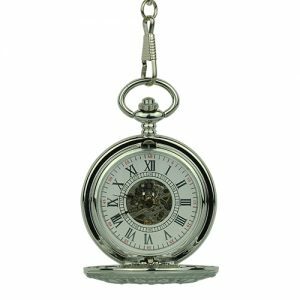 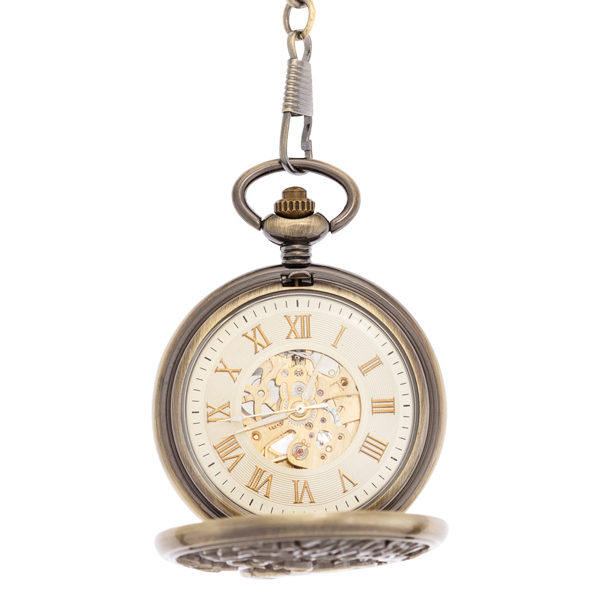 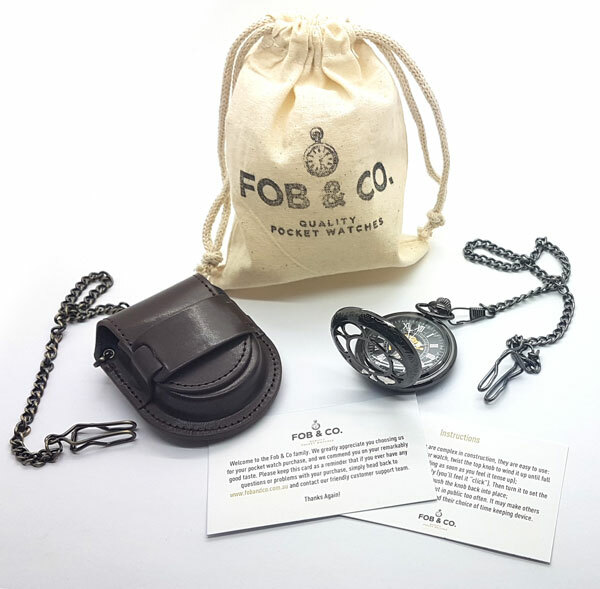 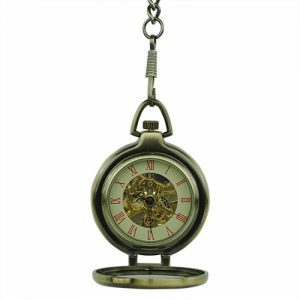 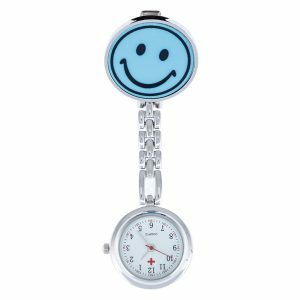 Antiqued Finish Flamingo Pocket Watch - Fob & Co. 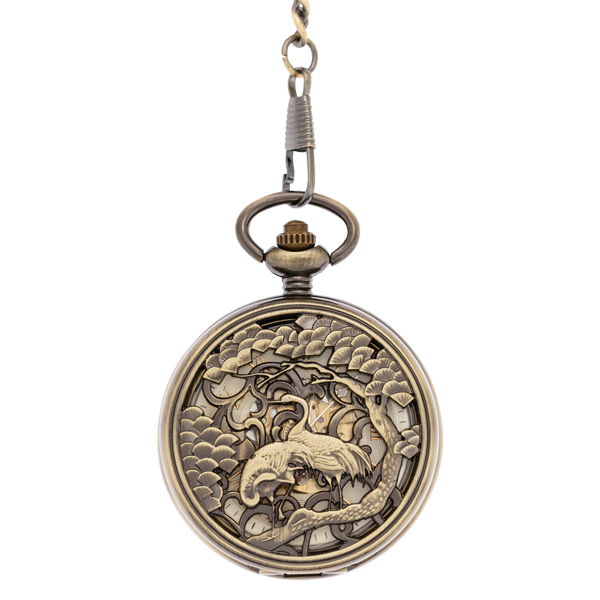 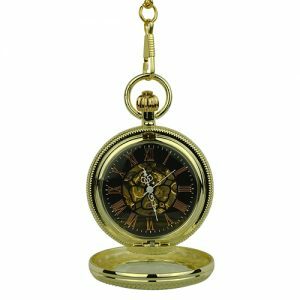 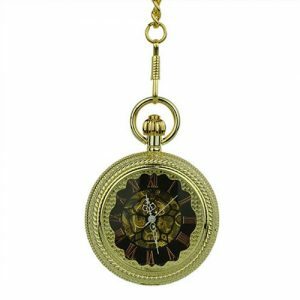 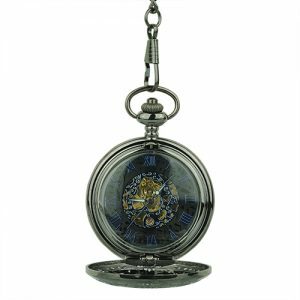 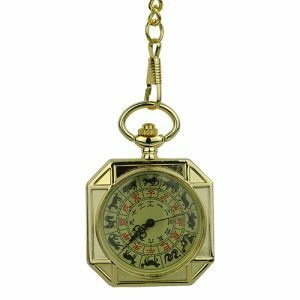 This pocket watch with a brass colour hunter cover that features an intricate outdoor wildlife scene with a flamingo in the centre. 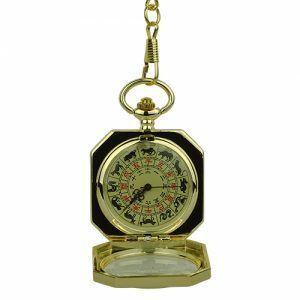 Several viewing windows allow you to read the time and see the see-through watch design revealing gold-coloured inner workings.